providing quality services to Southampton. 24/7 emergency call outs with JPS plumbing, gas and electrical. “Punctual, polite and excellent standard of work.” JPS proudly provide Southampton with plumbing, electrical and gas safe registered services. Our emergency electrician, plumber and gas safe specialists are available for same day or next day call outs. JPS guarantee every emergency will be handled quickly and effectively, so whether it’s a burst pipe or overflowing toilet, we’re here to help. Along with 24/7 emergency call outs, our team of plumbers, electricians and gas safe registered tradesmen operate in Southampton to repair and replace your fixtures. From pipes to wires, showers and toilets – we make sure all services are completed to your expectations. JPS offer free no obligation quotations on all installation services. Need a new toilet or kitchen sink fitting? Get started by contacting a member of our team, for call out appointments available at your earliest convenience. Yearly boiler checks are a necessity for all households and mandatory for landlords. JPS offer gas safe registered boiler repairs and installations on all boiler types. Arrange an appointment with one of our gas safe certificate holders today! 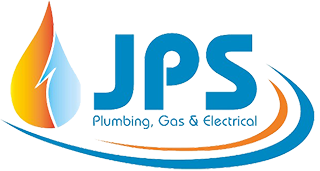 JPS was launched at the start of 2008 and has since branched out to offer a range of plumbing, gas and electrical services to homes and businesses in Southampton. Our friendly and professional team are always on hand to help, whether it’s a quick installation or an emergency repair. We pride ourselves in being the ONLY Hampshire-based plumbing and electrical company that have 100% transparent charges, along with a clear upfront and open pricing system. Here at JPS all of our tradesmen are trained and qualified within all of our services. Electrical repairs and installations on Electric boilers, Consumer units/fuse boards, waste pumps, water heaters, and many more services with our certified electricians. Plumbing repairs and installation on Bathroom and kitchens, many services include toilets, kitchen sink, shower, drain, faucet/ taps, drainage pipe, blocked drains and many more services with our Southampton plumbers. Gas Safety: Gas safe registered, repairs and installation on all gas boilers. All certified handlers will provide a gas safety certificate on boiler services. Prompt and effective service. Would happily use this firm again. Fabulous knowledgeable workmen. Gave me a few options to proceed with, explaining benefits of each one. Work completed was great quality. Can’t fault it. With JPS we offer a free no obligation quote on all of our services. Tell us how we can help by filling out the form below. Free no obligation quotes on all plumbing, gas and electrical services! Book appointment or report an emergency repair by calling us on 02381 733139 to speak with one of our advisers. JPS plumbing, electrical and gas launched in 2008 and has since been proudly operating in the Southampton area. We are continuing to grow in the South of England and can now proudly offer a range of services. Each service is designed to find faults, diagnose the problem and provide a sustainable fix. We also offer an Emergency repairs service that operates 24/7 with appointments being made daily.